Designers and Architects – How Custom Furniture Provides Value for Clients. 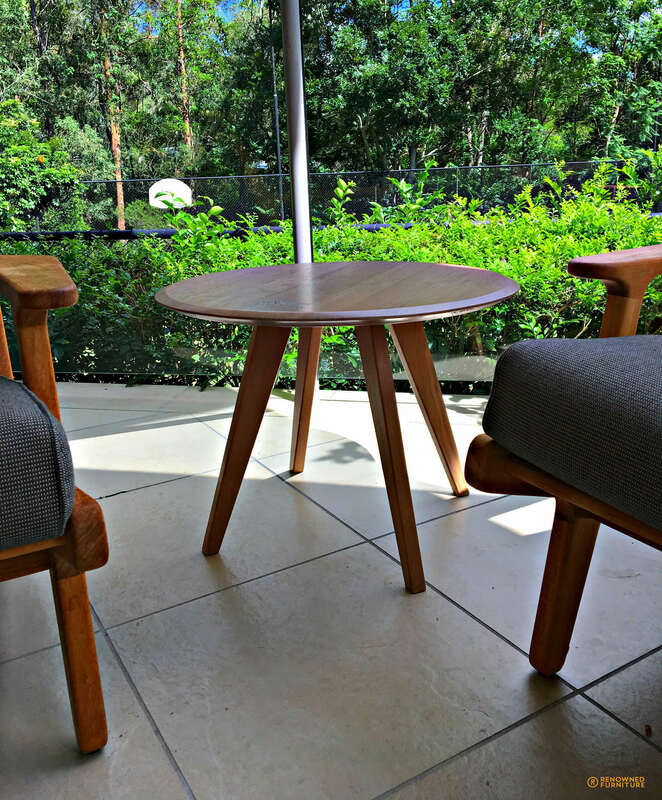 Renowned Furniture has been in the business of making custom designed furniture in Brisbane for over 30 years, and in this time we have designed and built a wide variety of custom furniture for both our commercial and residential customers. We work in collaboration with designers and architects and can build just about anything you can imagine. 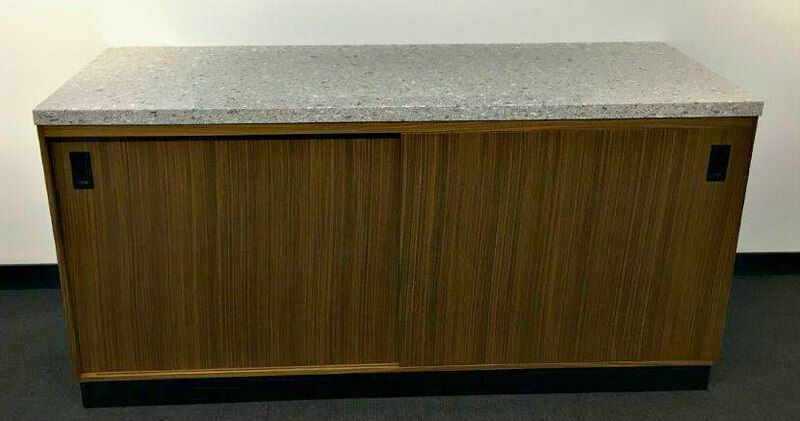 We love working with timber, but can easily incorporate steel, stone and glass into your design. Custom (and restored) pieces, whether they are the one off ‘hero’ piece, a set of like pieces or an eclectic combination of both, have their place in modern design and can be the best way to create the desired environment for your client. 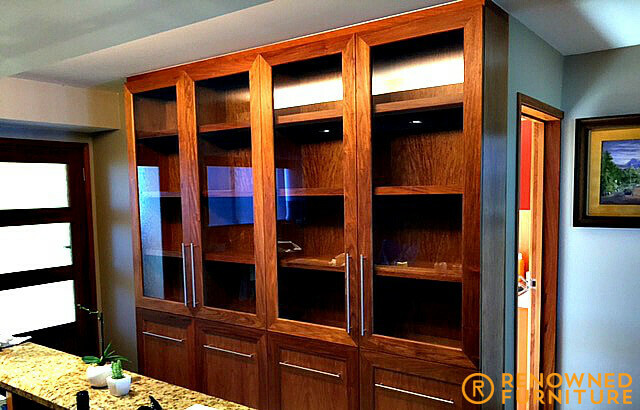 Custom is the best alternative when your client has a brief that off-the-shelf items just won’t cover due to issues with space or matching to existing furnishings. Here’s how we can help provide value for you and your clients. Custom pieces are exactly right, saving time searching for a close match. Every detail can be made to order specific to a brand or concept designed for your client. We’ve made narrow wing chairs, extra tall chairs, and shortened desks to suit client’s specific physical needs. We can alter almost anything to suit a specific space. Custom pieces are well made and designed to last. In this day and age, when shopfittings are expected to be replaced every 3-5 years, custom pieces are stronger and more hard wearing and will last longer than your average mass-produced item. Well designed and planned furnishings can be incorporated into any redesign down the track, and can be freshened up and reused or sold on (usually at a higher value than mass produced items). Custom pieces can usually be made in a short time frame. Lead time for imported/mass produced items can sometimes be as high as 10-12 weeks, and an order can rarely be altered once submitted. We’re usually able to produce the same items locally in less time, and understand that design is fluid and the brief can sometimes change during the process. We’re here to help and can do this by providing full size set outs and colour/design samples so your client can really get a feel for exactly what they’re getting. We hope this has you considering custom furniture for your next project. 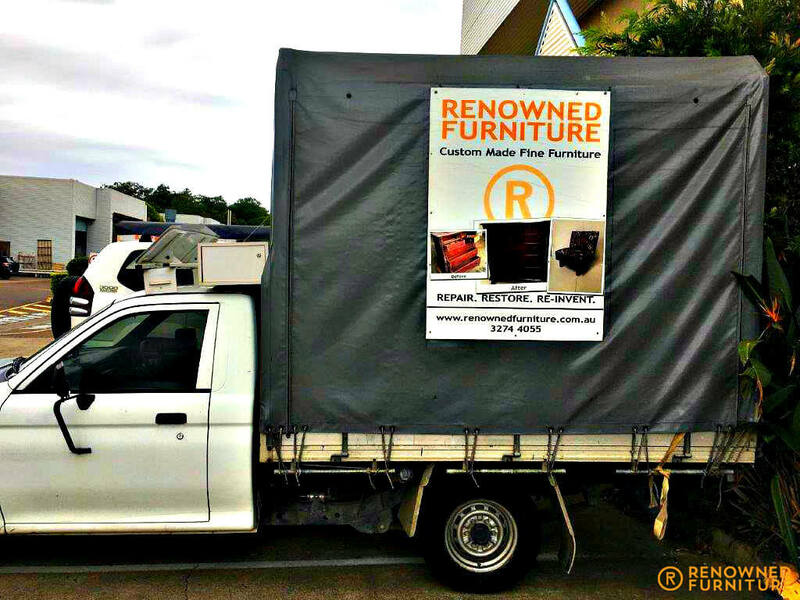 If you’d like to find out more about how we can help you provide value, please email your brief to sales@renownedfurniture.com.au, or give us a call on (07) 3274 4055 to speak with one of our helpful staff. http://renownedfurniture.com.au/wp-content/uploads/2014/12/logo1.png 0 0 Ross http://renownedfurniture.com.au/wp-content/uploads/2014/12/logo1.png Ross2018-08-20 18:20:082018-08-23 13:26:33Designers and Architects – How Custom Furniture Provides Value for Clients. It’s 2018, and as it is the beginning of a new year, It’s time once again to reflect on the business and look back at some of our notable projects during the past year. 2017 was another fantastic year for Renowned Furniture. We started the year fielding so many enquiries, mostly from people asking for quotes and the rest just seeking advice on what they can do with their old furniture. We even hired new staff mid-year to keep up with the orders. We instituted a number of measures to ensure the continued success of the business. 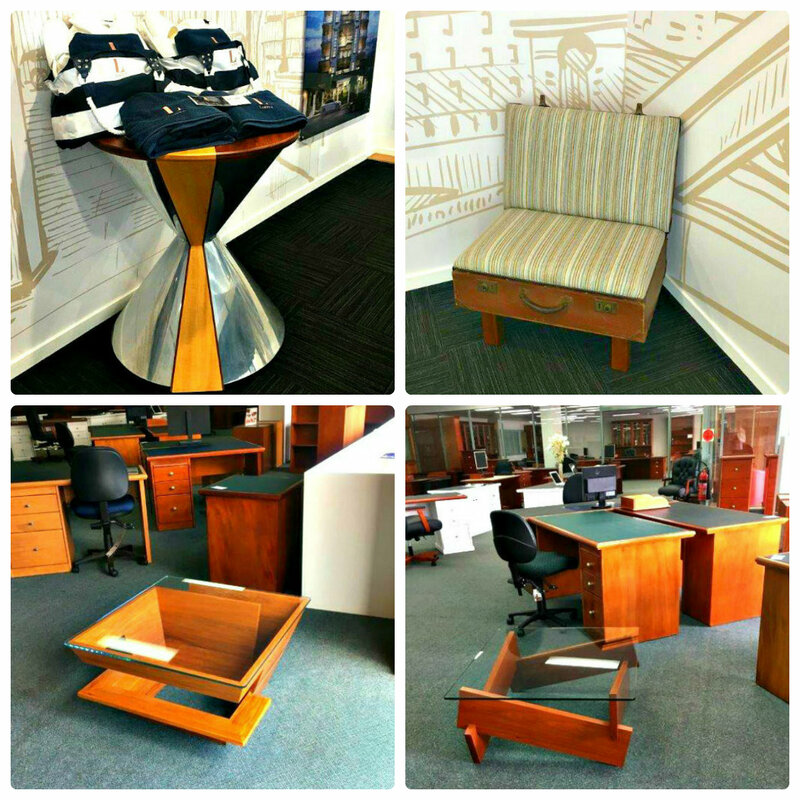 We launched a “Product Placement” venture that saw some of our custom-made furniture pieces displayed at the sales space of London Residence West End, a private residential building on Bailey Street, and a company within the same industry – a 30-year veteran of fine office style furniture. There we displayed a few of our more daring pieces – conversion pieces, for sure! 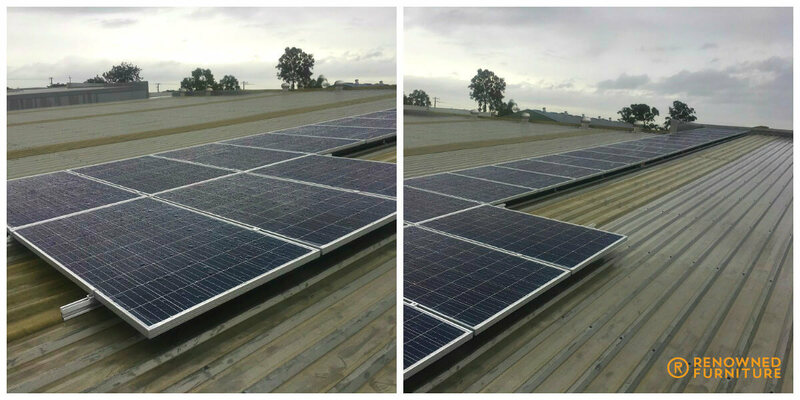 In the middle of the year, we became officially independent from the power grid with the installation of solar panels that can generate enough power even during our peak loads. This is our biggest investment for the year, and the return on investment is very promising, not to mention that we can claim to be a business with a significantly reduced carbon footprint. 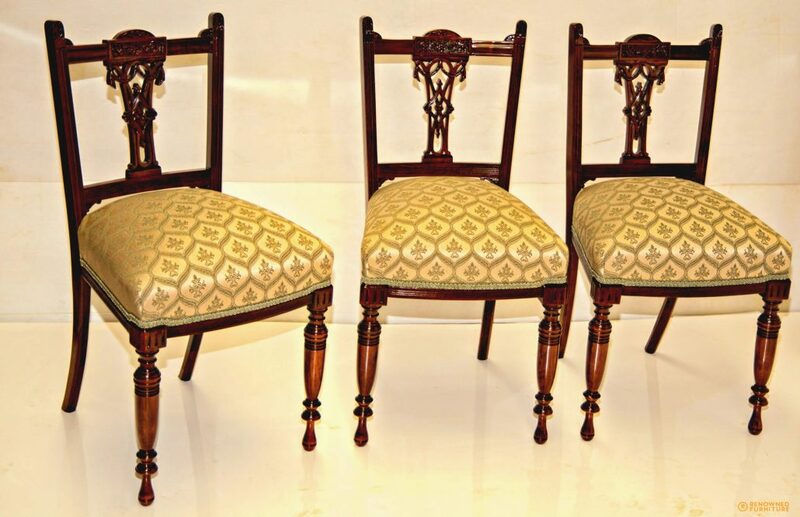 We are also happy to report that we completed a number of custom and restoration jobs that turned out beautifully that our clients were satisfied and grateful. It is really a nice feeling to receive notes from happy clients! Renowned were able to secure several big contracts. One of our coups this year was a chance to make a boardroom buffet piece for one of the world’s biggest defence contractors. It wasn’t a highly technical piece, but we were proud to have taken on that challenge because of the possibilities of future collaboration with this particular client. We underwent a slight change this year, and that was the change in management. As was recounted a few times in previous newsletters, the former owners were receiving a number of enquiries with regards to selling the business as is, both from groups and individuals. 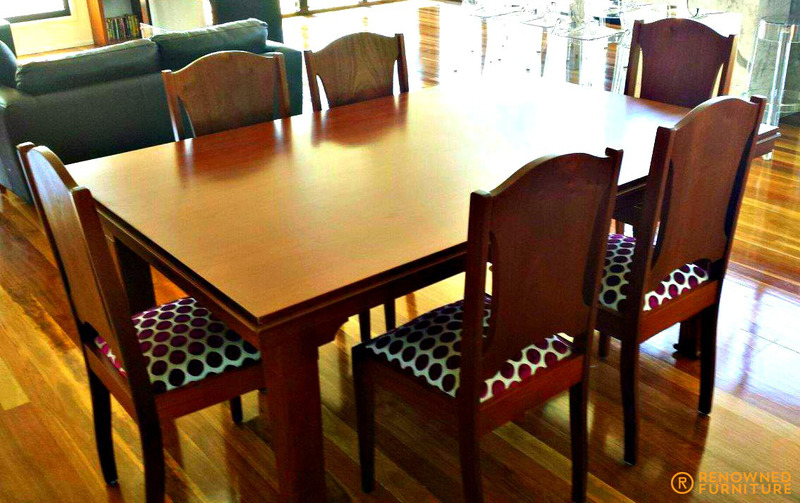 Renowned Furniture are now under the management of Aaron and Melissa. 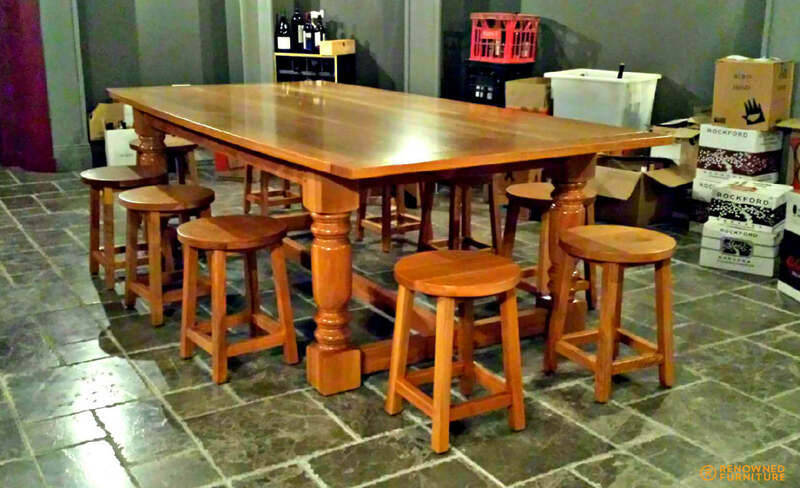 The new owners bring with them extensive experience in furniture and cabinet making. We say it was a slight change because the transition was virtually seamless. We retained the same staff and maintained (and continue to improve) the same processes that allow Renowned to churn out top quality jobs. While the transition was on-going, it was “business as usual” for us. We are expecting another fantastic run in 2018 and we are confident that we can deliver the same quality of service that Renowned has become known for in our small circle of furniture restorers and manufacturers in Brisbane. To all our loyal customers and followers, we wish you a happy and prosperous 2018! It’s 18 days before Christmas! The signs of the holidays are all around, but our boys continue to be hard at work to meet deliveries that we have committed before the holiday break. The past year has been fruitful (and the next year promises to be another exciting year! ), and all of us here at Renowned deserve a much-needed holiday break to spend time with family and catch up with friends. Renowned will be closed from 12 nn on December 22 and we will re-open on 2 January 2018. Your phone messages or web enquiries will be returned as soon as possible when we return after the holidays. We appreciate your custom this year and wish you and yours a Merry Christmas and a very Happy New Year! In this day of minimalist interior design, de-cluttering is in and detailed, large heirloom furniture seems to be out. We feel that there is always a place for old furniture, especially those that have been passed down through generations. They tell of eras gone by and represent a window to one’s family history. 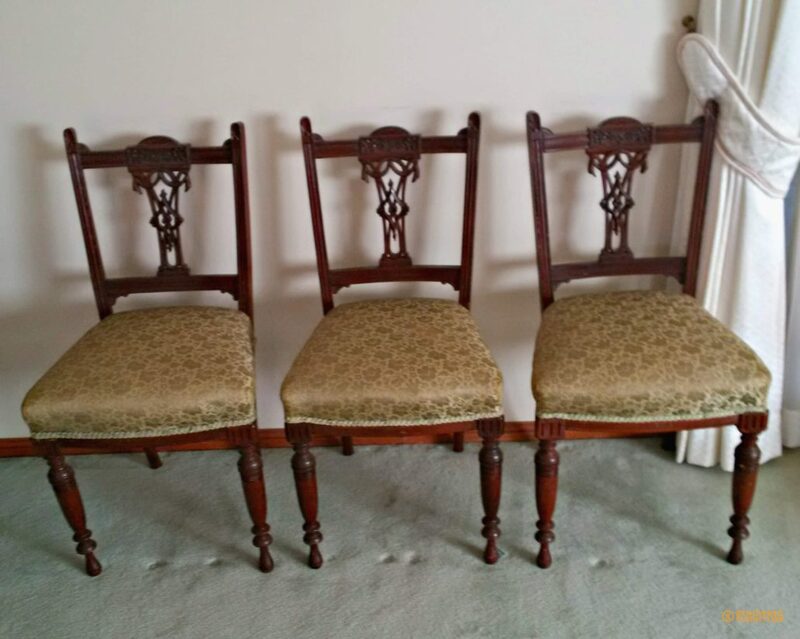 We love working on very old furniture here at Renowned. 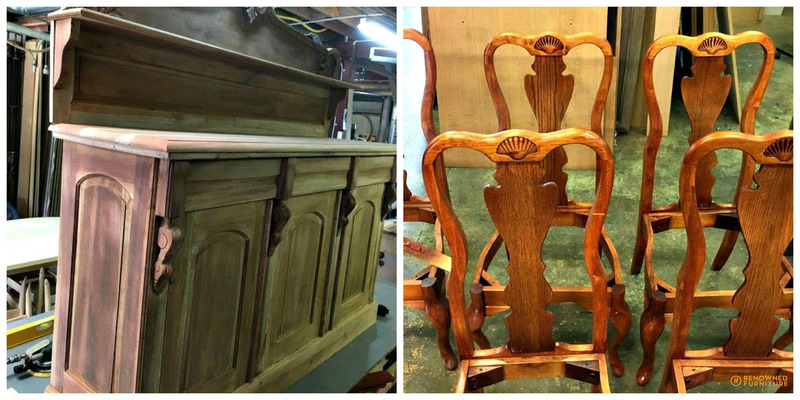 This type of restoration job often comes with a heart-warming story, like Gordon’s set of treasured furniture. 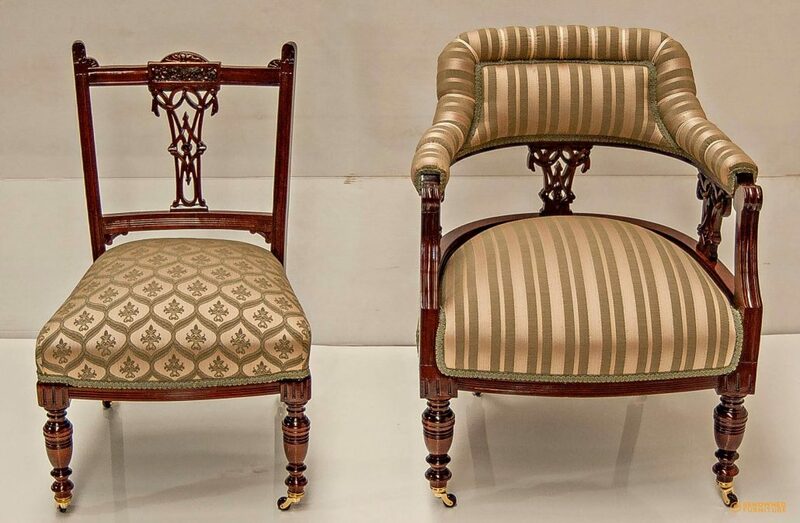 The Victorian-style chairs, made from Mahogany, are an heirloom kept in the family for over 100 years. They were originally bought as a wedding gift in around 1890 for the client’s grandparents. Gordon and his wife decided to have them restored to celebrate their own wedding anniversary this year. Gordon sent through a lovely message saying his wife was speechless when she saw them and that they were both very pleased with the end result. 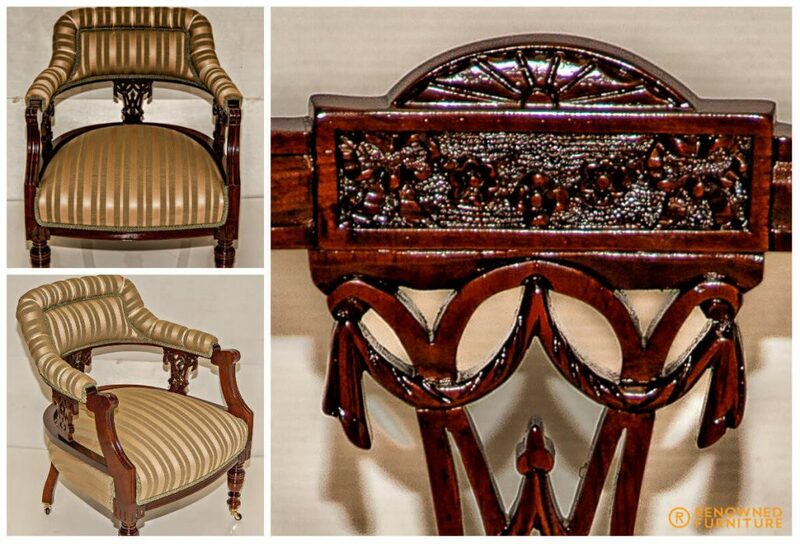 The antique pieces we receive have a high sentimental value and as such we treat them with great care. 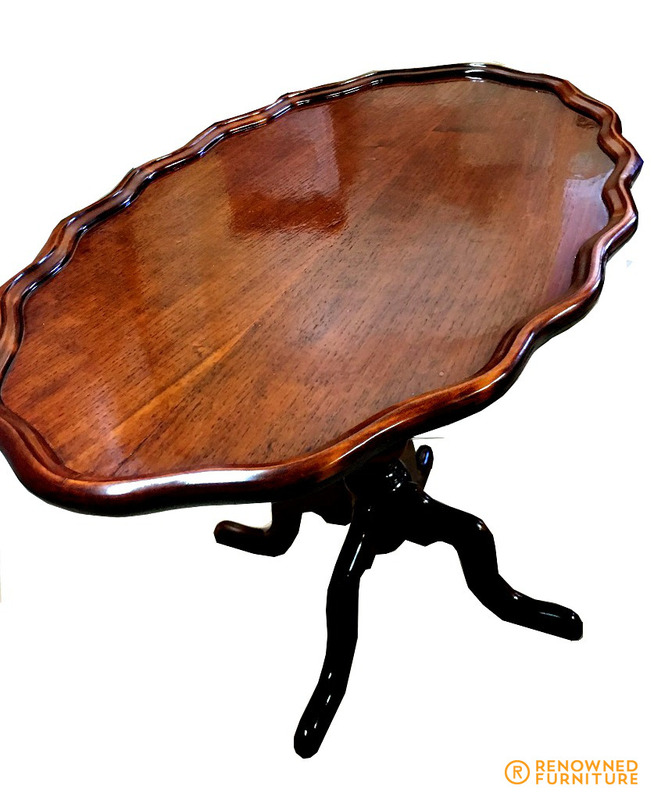 We always advise clients what the best course of action to take for their heirloom furniture is – may it be a simple repair to maintain the integrity of the piece or an elaborate restoration to make a grand statement. We hope Gordon family enjoy them for another 100 years. We’ve undergone some changes here at Renowned and are pleased to welcome the new owners, Aaron and Melissa. Aaron brings with him vast experience in all facets of furniture and cabinetmaking, from antiques to shopfitting (and plenty in between!). We are happy to say that all of the craftsmen have stayed with us, so we are confident we can deliver the same quality and service you have come to expect from Renowned. So really, it’s just business as usual and as always we are still “part of the furniture”. In other news, feels like it’s raining chairs in the factory at the moment. We’ve had enquiries on just about every kind of chair you can imagine – high chairs, cinema chairs and even a diner booth. Here’s just a few that we’re working on. Storms, not just minor storms but massive storms, are in the news lately. The first being Hurricane Harvey, which flooded Houston in Texas, USA and currently, Hurricane Irma, which is ravaging the Caribbean Island. Closer to home in Brisbane, storms and flooding are part of the natural environment. There is always the potential for storms and the resulting flooding that the City Council has prepared a flood guide to save lives and property. When a storm passes and the flood starts to recede, clean up begins. 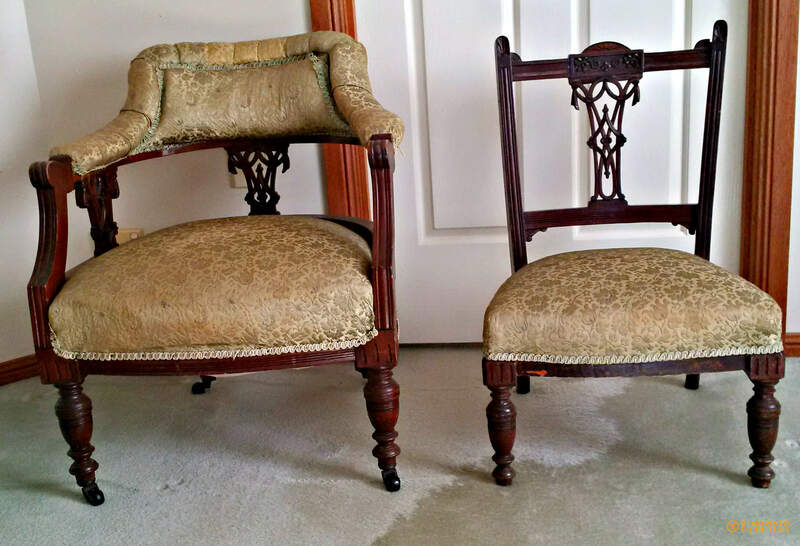 One of the common victims of flood water is furniture – both upholstered and wood pieces. In many instances, cleaning and drying are not enough to salvage them. This is where professional furniture restorers come in. Renowned have had its share of jobs that involves resurrecting well-loved heirloom pieces from flood damage. We’ve had several of this type of job this year alone. 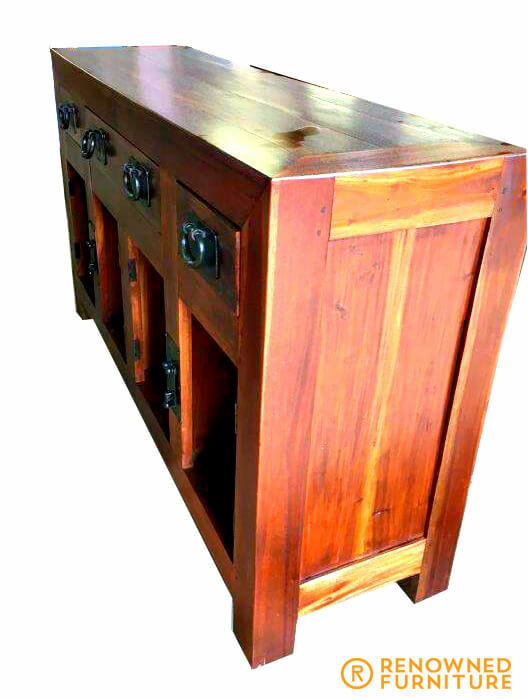 This mahogany buffet is proof that flood damage does not mean throw out all your solid timber furniture. 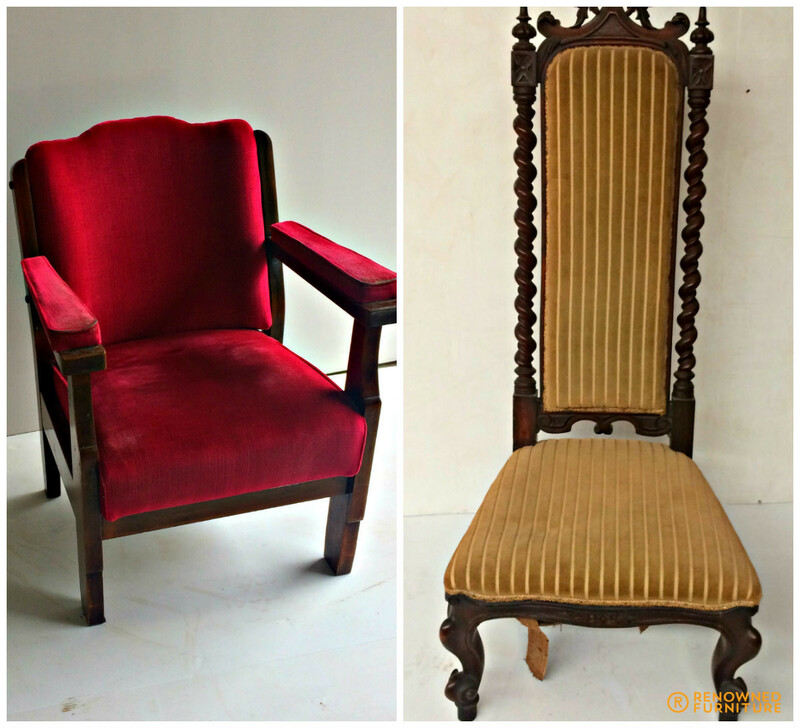 It will return to its original size and shape with a little help from Renowned Furniture! Flood can also come from another source – a burst mains pipe in your home. This happened to one of our clients, and this sewing machine and old cedar chest of drawers were the only two pieces to survive the accident. They were brought in, and it was another successful restoration job for Renowned. The flood loss happened to this client two years ago, but the silverware case, buffet and side table are being restored for the third time. The first two restoration attempts were total failures. Third time’s the charm as we came to the rescue and fixed the repair sins of the previous restorers. Anyone ever had a job go wrong? Not once, not twice but three times? Hannah came to Renowned furniture on a recommendation. She’s heard that “The guys at Renowned are pretty fair dinkum”! Well, we are, and sometimes it hurts. 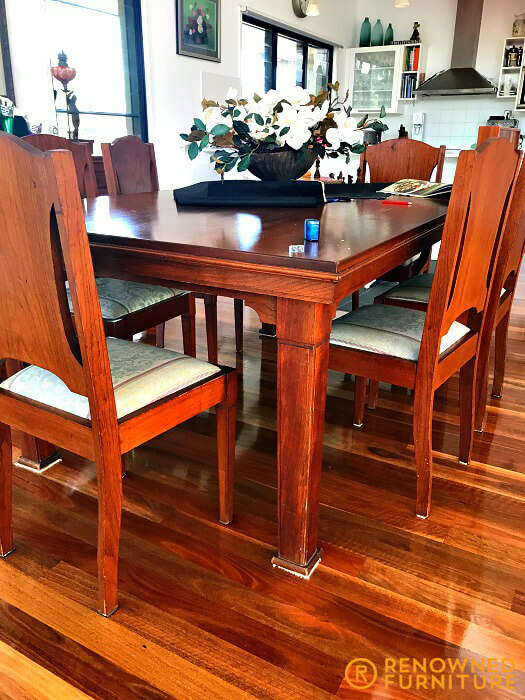 We quoted in excess of $5,500.00 to completely strip down, dismantle, rebuild and re-polish this solid Cedar dining suite. Hannah’s comments during her deliberations were: “You guys are not the cheapest but I’ve heard good things and I am going with you”. 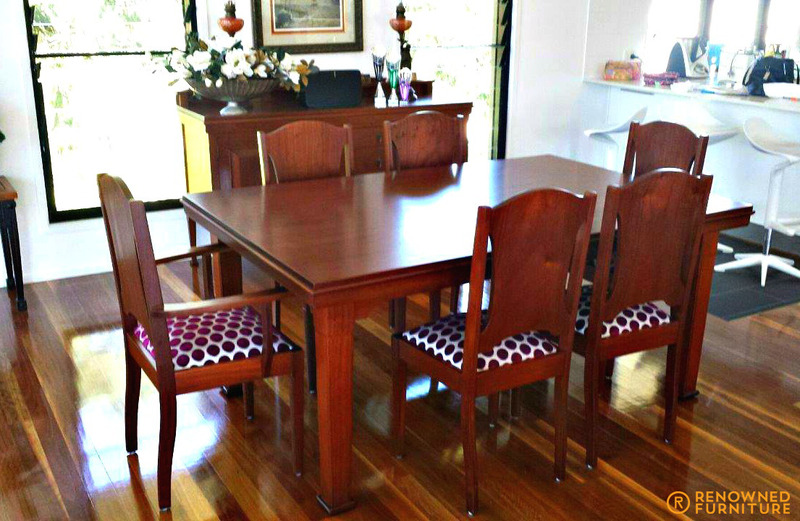 Renowned Furniture employ some of the finest master craftsmen in south east Queensland with several years’ experience in all facets of fine furniture making, French polishing and furniture restoration. Among our very long list of esteemed clients, socialites and business people, we can also proudly include many of the big insurance companies and insurance repair brokers that turn exclusively to Renowned Furniture and refer to us as “preferred suppliers”. Our award winning quality and finish is second to none. 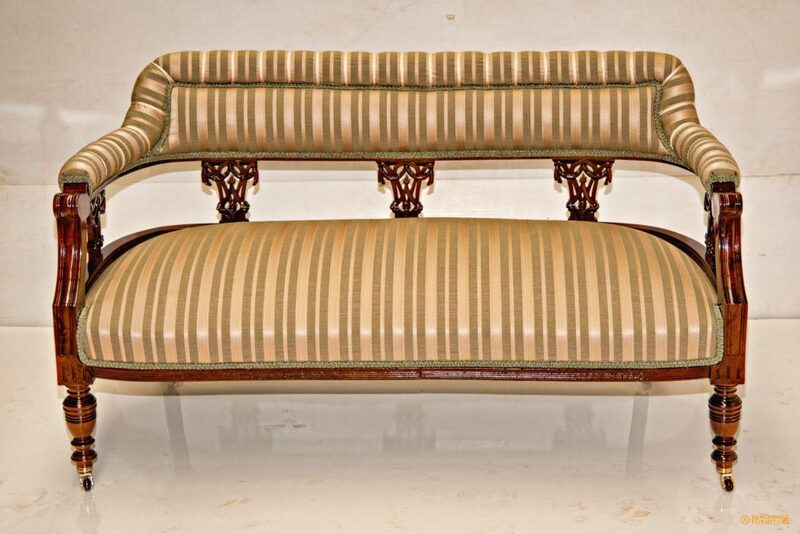 Furniture made or restored by Renowned will last a lifetime. 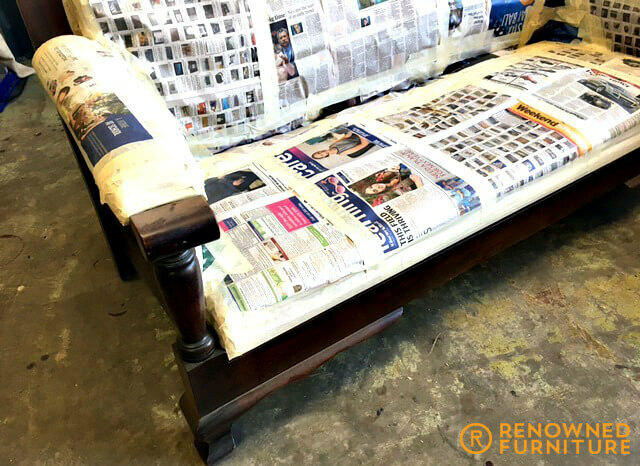 Our standard process for true, top quality furniture restoration involves a full strip down where we remove all old polish and marks, etc. Some old polishes will react with new polishes over time, which is good to know when considering the type of restoration you’d like done to your piece. We go through every joint and connection and ensure that all joints are sound. 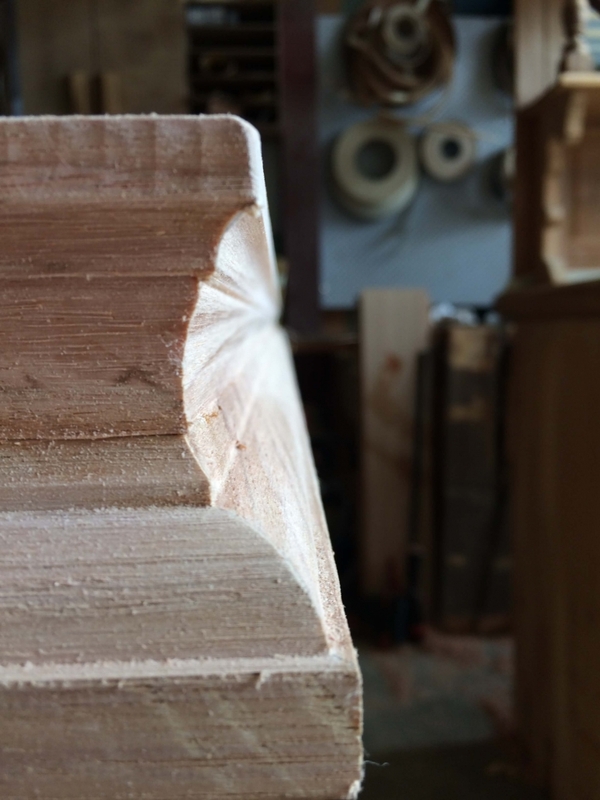 Some pieces of furniture that are more than about 60 years old will have ‘animal fat based timber adhesives’ in the joints and this will almost certainly have been compromised over time, so it’s important to be sure that the joints and connections are going to last another life. The strip and first sand are followed by a 2 pack seal coat in clear to ‘embalm’ the timber. The next step is to sand again, apply tone and colour where required and sand again. The third step is to apply the first of the top/polish coats, then sand again and finally, the finish polish coat to your choice of lustre and gloss level from dead flat through to high sheen. 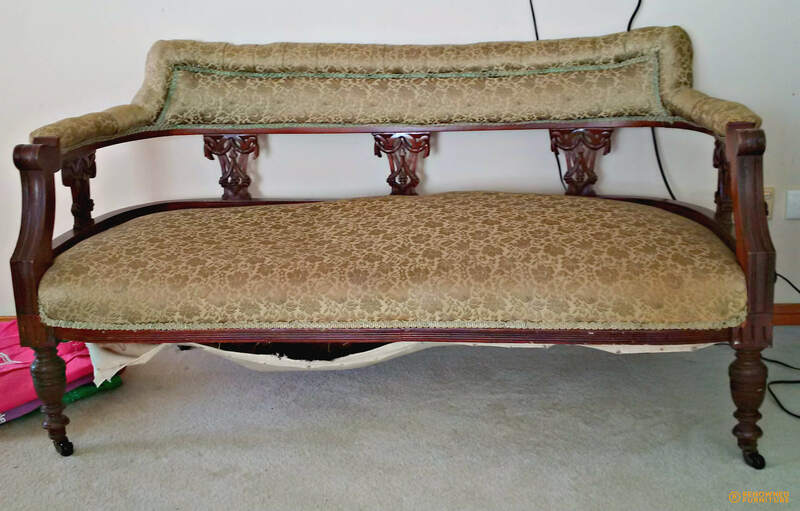 For re-upholstering, we replace all the internals required to ensure longevity and warranty of new fabrics, so webbing, foam, wadding, gimp and antique nails are all replaced where required as part of the process. Please visit www.warwick.com.au and see if there’s anything there in their vast listings that suits, or alternatively, visit their showroom where the very friendly and helpful staff can assist. We are happy to quote for a lower level of restoration, though this really needs to be done in direct consultation with you to be sure we are both in agreement and have a full understanding of the work being carried out. 1. The cedar had some kind of (unknown) oil or chemical embedded in the timber making the re-polish a nightmare. We actually redid the polishing 3 times. 2. A mistake was made with the fabric supplier when someone (who shall remain nameless) ordered the wrong fabric, so at the 11th hour when we were ready to return deliver and were conducting final checks, we found the error and had to delay with the client yet again. 3. 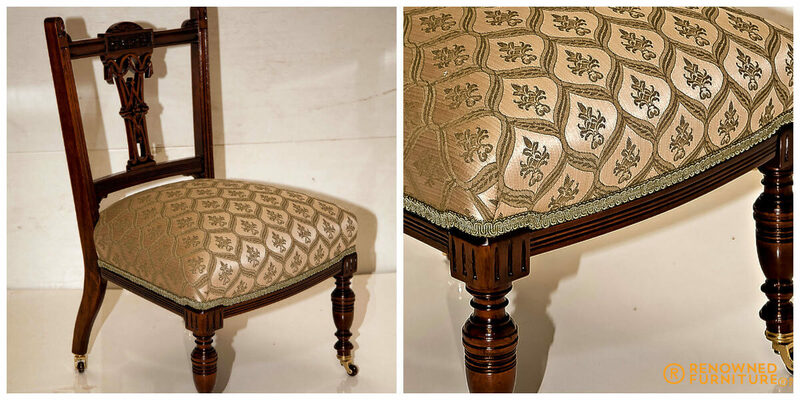 After re- re-upholstering we were ready to send the suite and one of the chairs was damaged in all the double handling. They say these things come in threes, don’t they? Hannah told the boys how amazed she was and further went on to call me and write as well. http://renownedfurniture.com.au/wp-content/uploads/2014/12/logo1.png 0 0 Ross http://renownedfurniture.com.au/wp-content/uploads/2014/12/logo1.png Ross2017-08-24 12:19:152017-08-24 13:14:21"A Job Well Done"
We’ve suddenly been receiving random drop ins from many of our suppliers. All with long faces, all with tales of woe about how terribly quiet it’s been lately, all with new specials on consumables, and so on. We’re unable to keep up with demand and adding to our busy life is one other clanger! I have been head hunted back into a corporate role in the tech industry where my roots lay. So, I bid you all farewell in two weeks’ time and have asked my amazing admin manager (and wife) to take over the newsletter here. Naturally, the boys will also start to contribute, so hopefully it starts to seem fresher and a little different. One of the best barometers I like to use for how busy things are in local business is chatting to our Courier driver who services all regions nearby and he has also stated that life is terribly slow. Here’s just a few samples of what we’ve been up to in the past few weeks! Here, we have some beauties! First (from left) is a sliding ottoman made from solid spotted gum. Next is a simply stunning example of Boar war South African history – a split chest drawer set with some of the finest craftsmanship we’ve seen from that era and region! 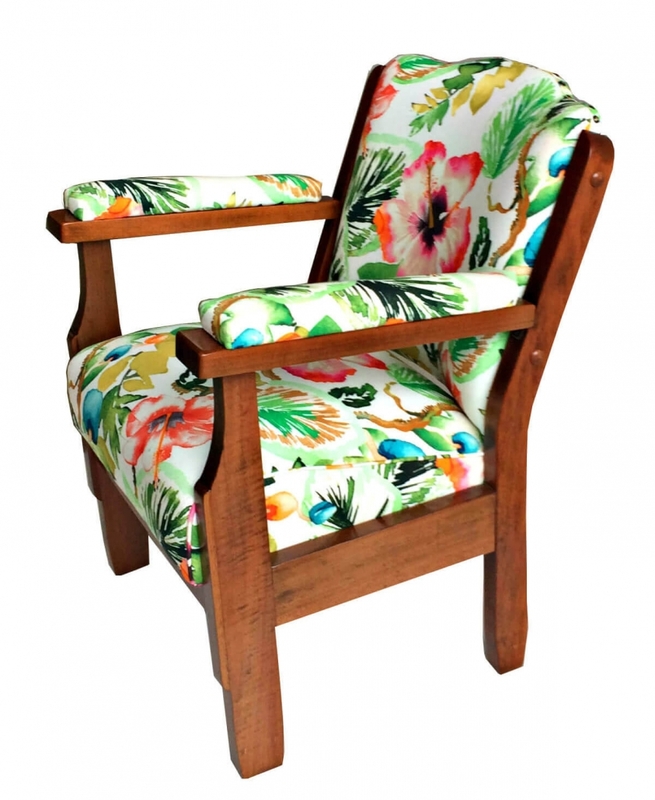 We think it’s made from a rare exotic called Babinga timber from West Africa. Next is an odd ball (modified) solid Qld silky oak table in for an insurance restoration and the last is another look at the Boar war relic. 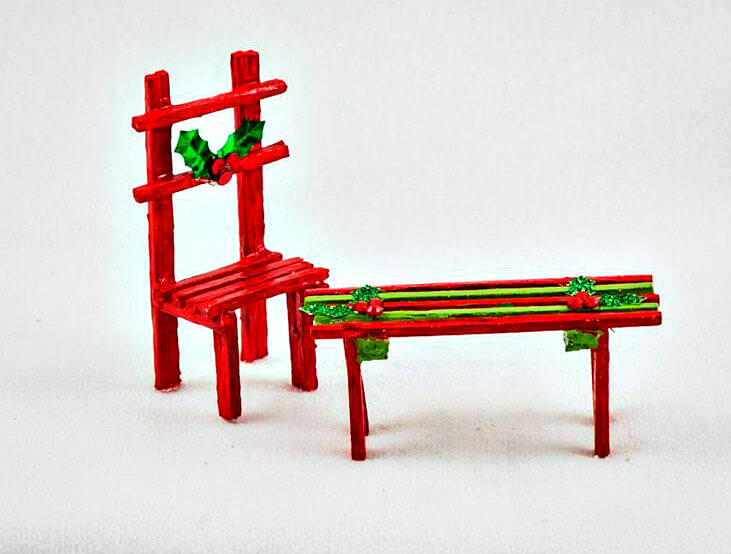 First up is a Chinese relic from a bygone era (unfortunately damaged during a home break-in). I know the neighbourhood where this happened (my neighbourhood!) and a vigilant neighbourhood watch gang busted the perpetrators! 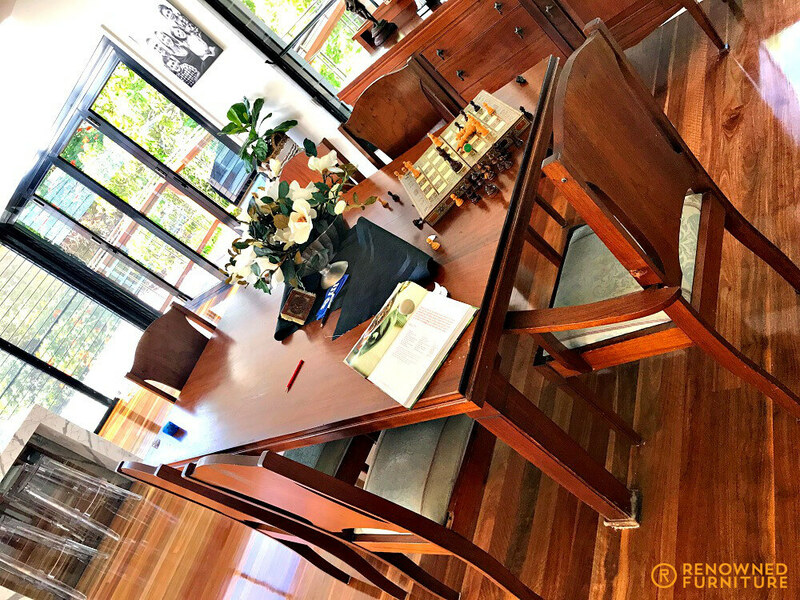 Then more of the lovely Silky oak lounge suite in for resto and last is a family heirloom – a solid oak roll top desk. http://renownedfurniture.com.au/wp-content/uploads/2014/12/logo1.png 0 0 Ross http://renownedfurniture.com.au/wp-content/uploads/2014/12/logo1.png Ross2017-08-10 11:38:382017-08-10 12:13:08A Hectic Life!